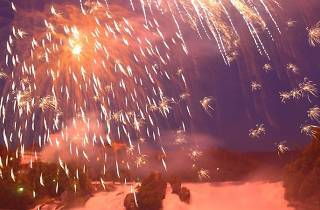 Dubbed “fire on the rocks”, the National Day fireworks display at the Rhine Falls is one of the best in Switzerland. 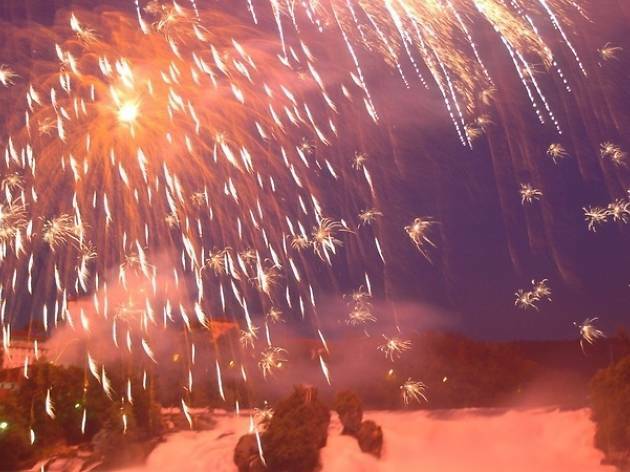 The Rhine Falls near Schaffhausen were first illuminated by fireworks in 1857 – and have since been lit up to celebrate any special occasion. The annual National Day fireworks display above this heaving mass of water – known as “fire on the rocks” – has unsurprisingly gained national renown. Somewhat oddly it always takes place on July 31st (National Day is August 1) – and do keep that in mind so you don’t miss out. Both fireworks and light effects are used to transform Europe’s biggest waterfall in a display that attracts some 10,000 visitors. Attendance is free of charge, and there is catering on site in the shape of the restaurants around the falls.